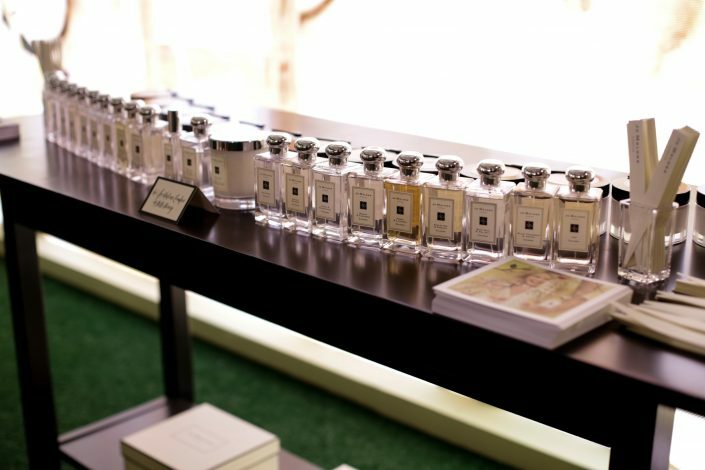 British perfume and scented candle brand who is the forefront of perfumery crafted from the highest quality ingredients. 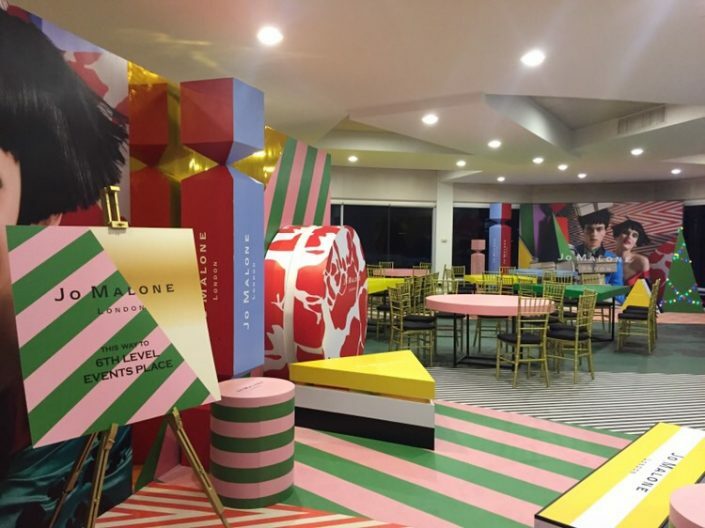 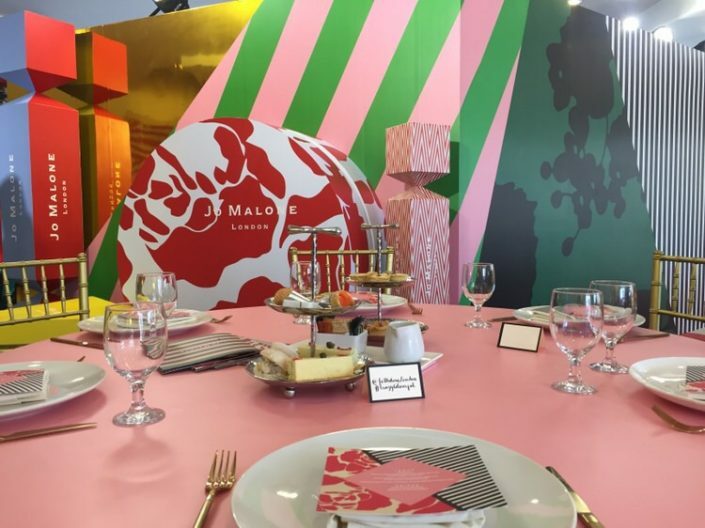 Moss Manila creates a venue within a venue for Jo Malone London’s launch of their new scent—Honeysuckle and Davana. 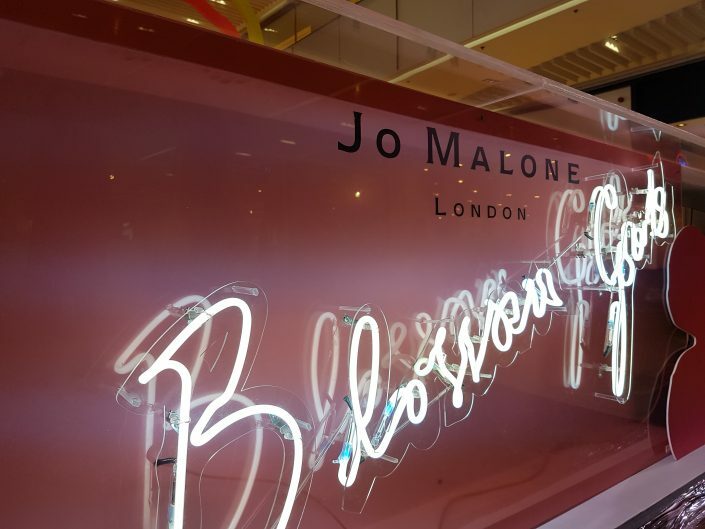 From the driveway alone, guests can say “Hello, Honey” as they’re greeted from the entrance with a full wall of the teaser visual from Jo Malone and an overhead suspended garden of greens and honeysuckle. 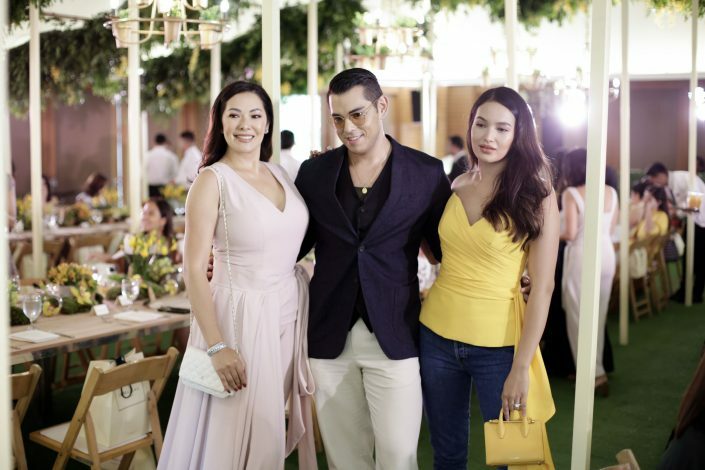 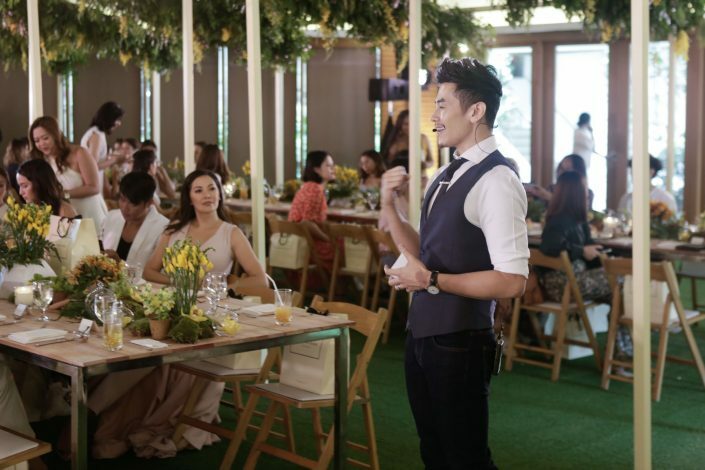 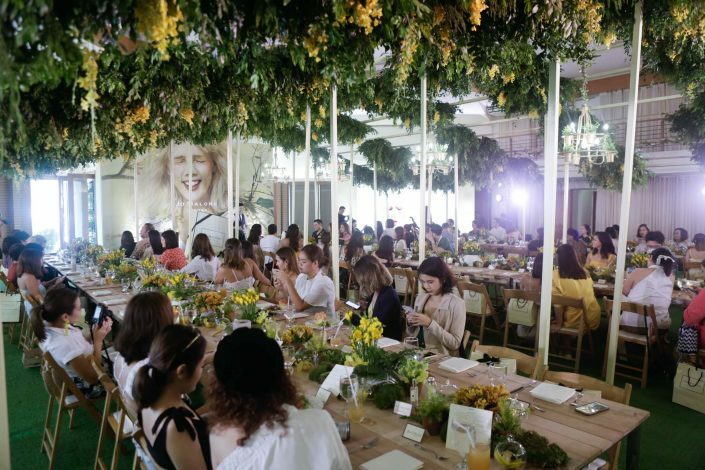 As the guests enter the venue, the entire floor of the venue is covered in astroturf flooring as Moss Manila brings in the sunshine in with an overhead canopy of greens and hanging yellow buds of honeysuckle. 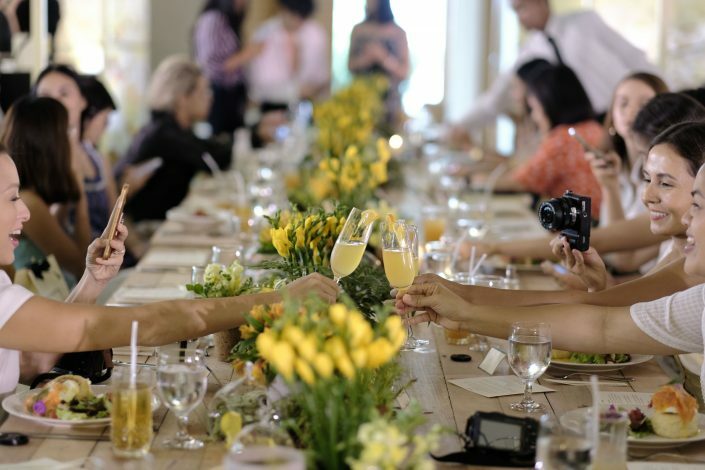 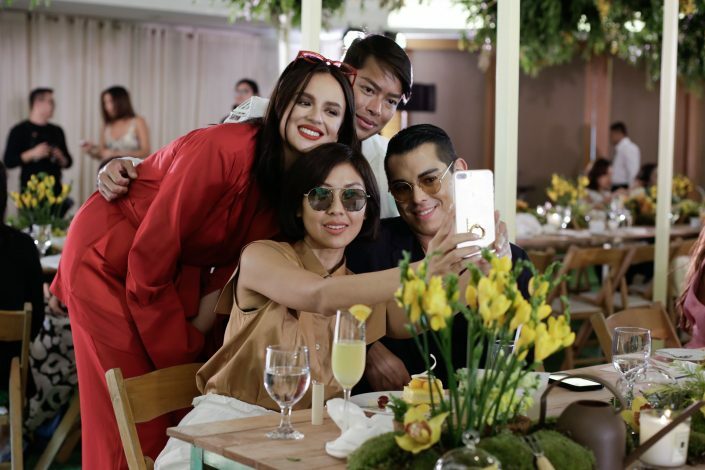 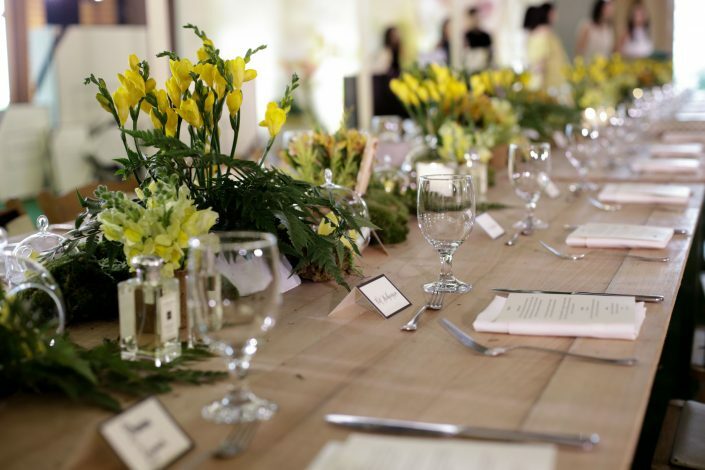 Moss Manila gives you a pocket full of sunshine in the form of rows of a festive garden themed tablescape complete with watering cans and miniature trowels and shovels. 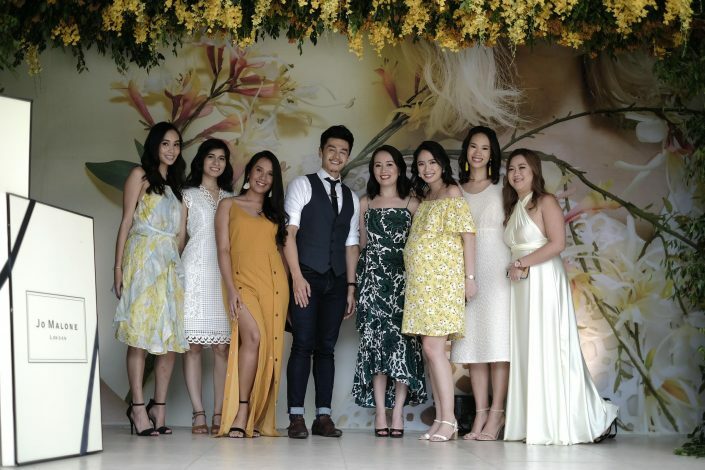 Thank you for the photos, Magic Liwanag! 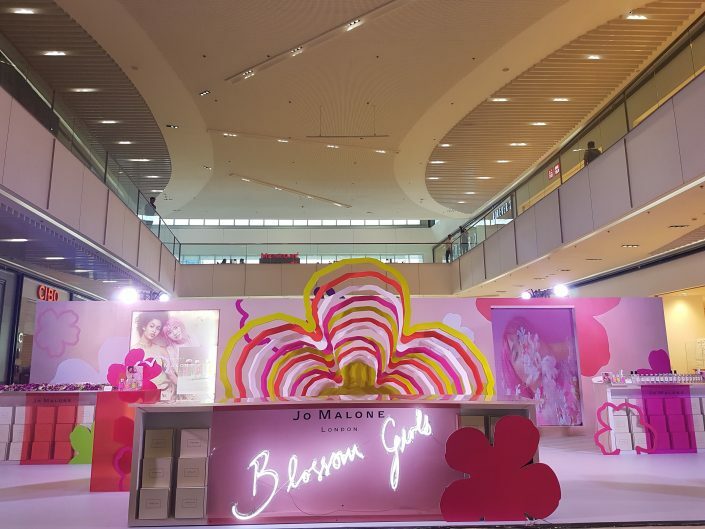 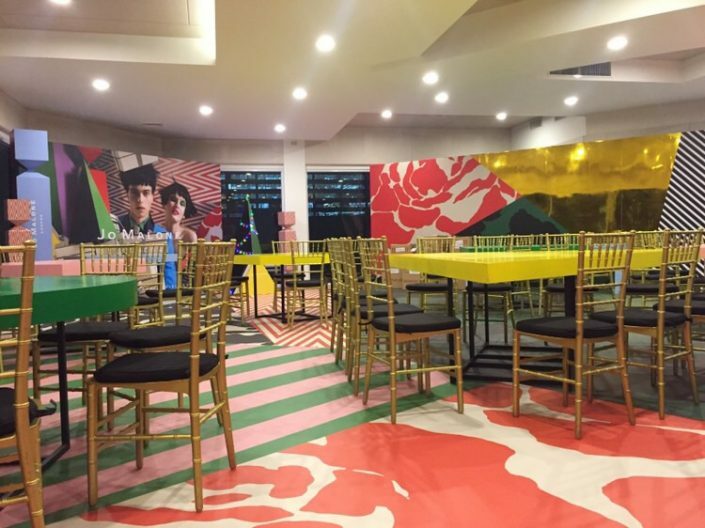 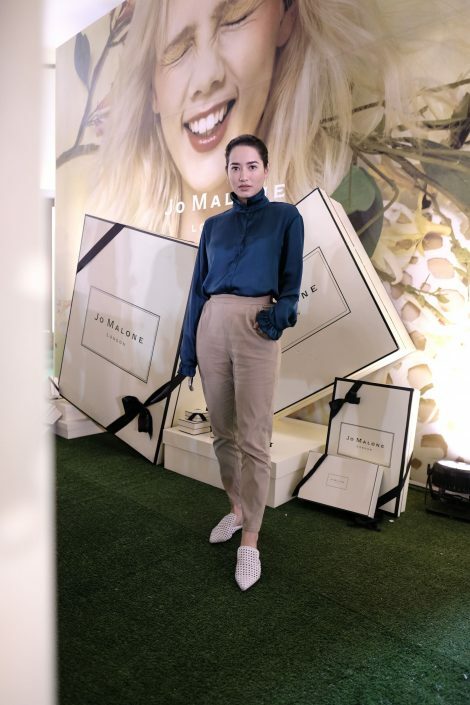 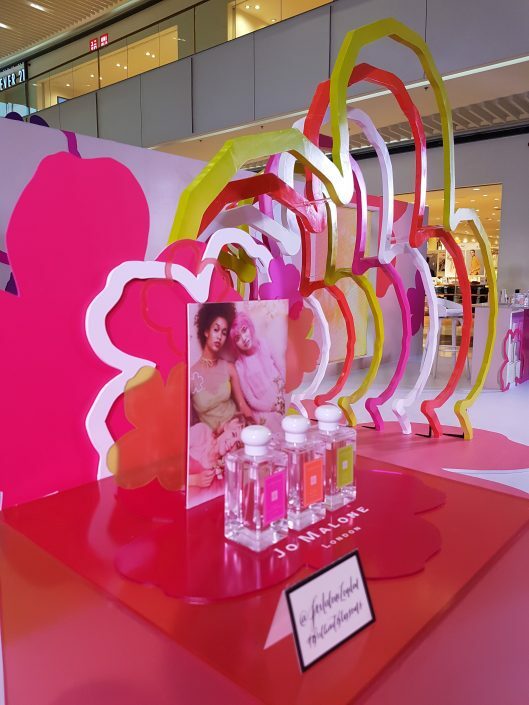 “Bloom where you’re planted” and indeed Moss Manila put up a set up for Jo Malone London’s Blossom Girls right in the middle of SM Aura in time for Mother’s day weekend. 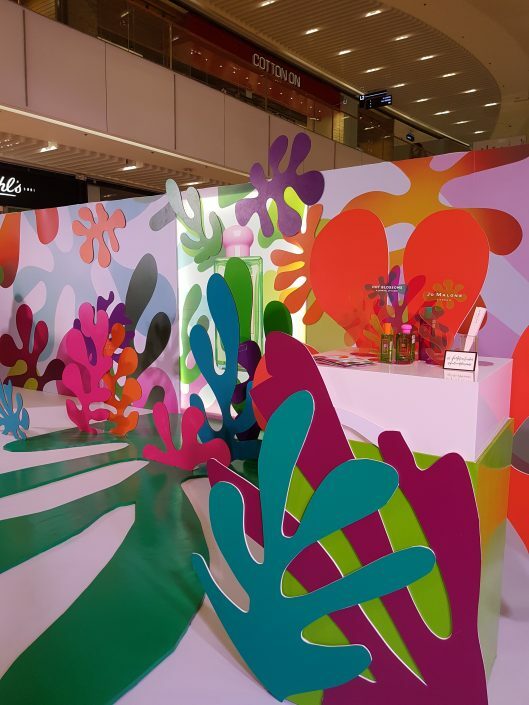 It was a treat the eye from one side to another with massive flower cut outs on one end and coral patterns on the other. 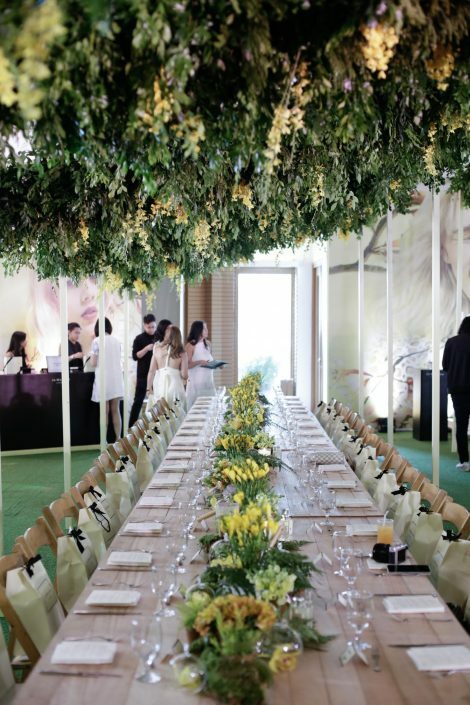 A flower cut out tunnel on one side and a reef-like set up on the other where guests can have their photos taken. 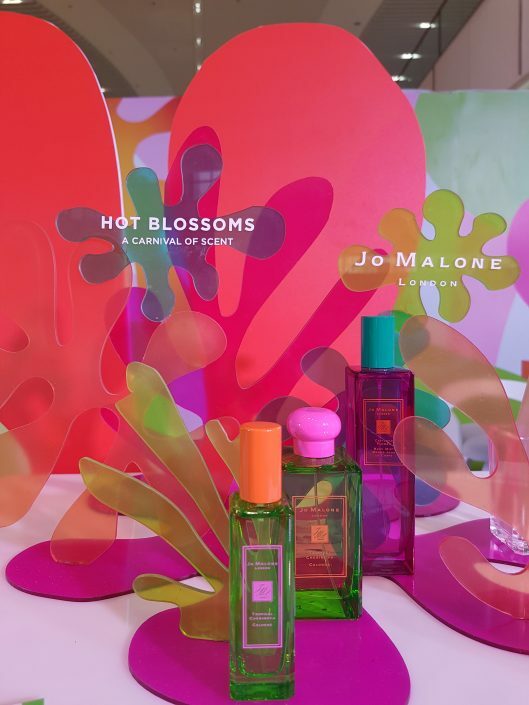 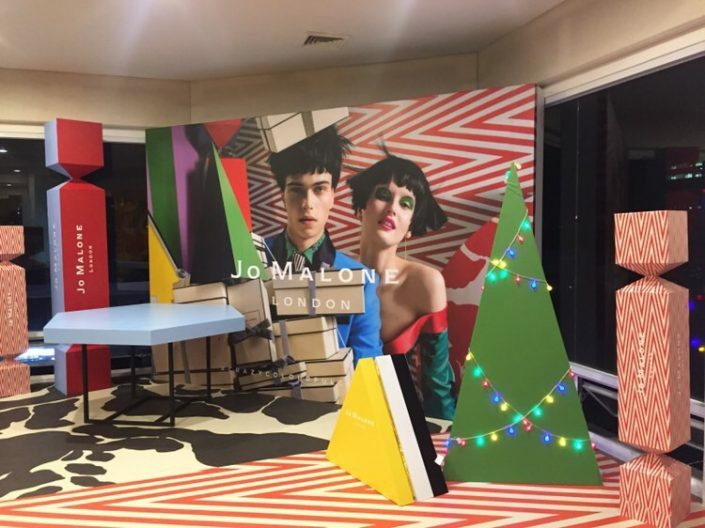 It’s a Crazy, Colorful, Christmas with Jo Malone! 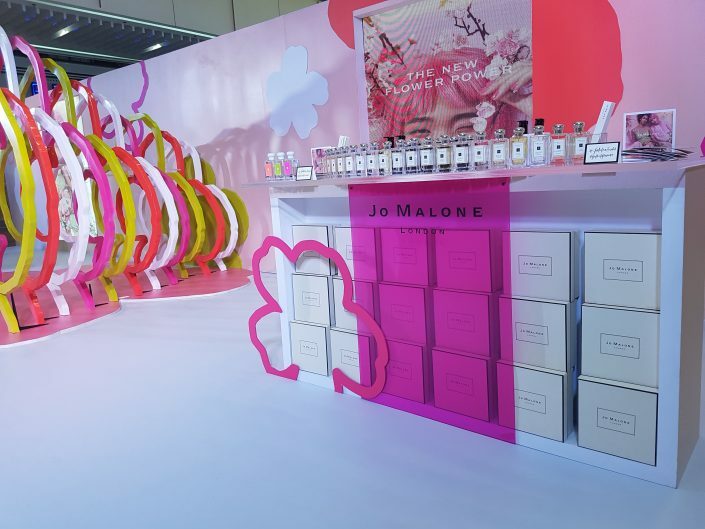 Launching their Holiday 2017 Collection, they partnered with British fashion designer Jonathan Saunders to create a special gift wrap for Jo Malone! 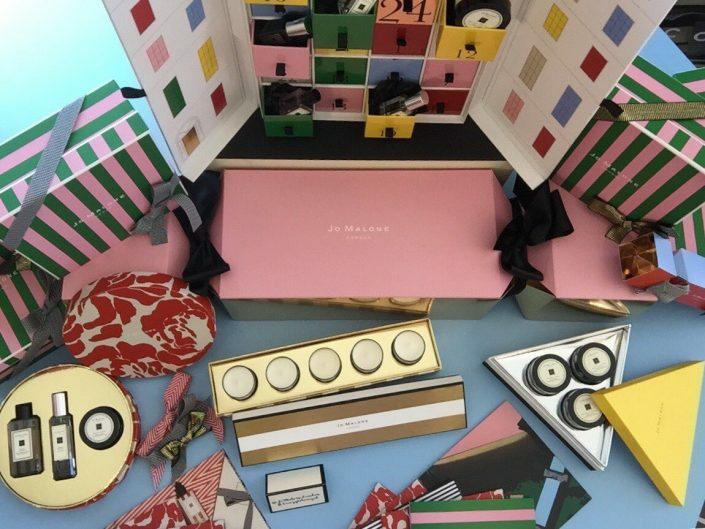 Ending the year with 17 products from Green Almond & Redcurrant Cologne, Cologne Intense Collection, Pomegranate Noir Collection to their Pine & Eucalyptus Home Candle. 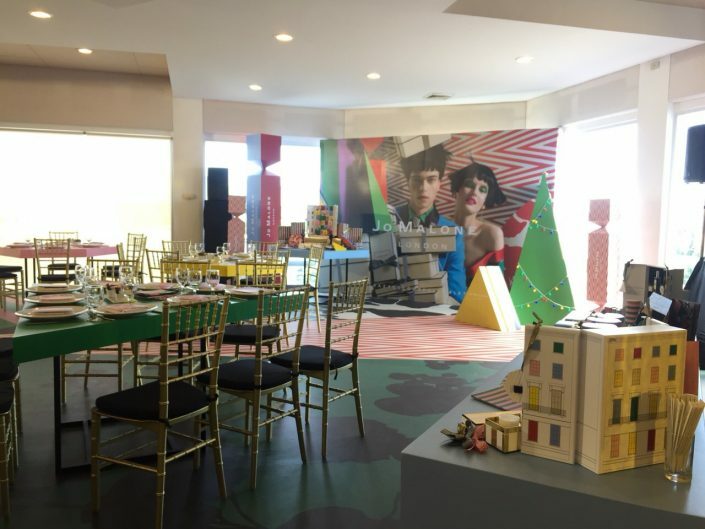 It was truly a festive surprise! 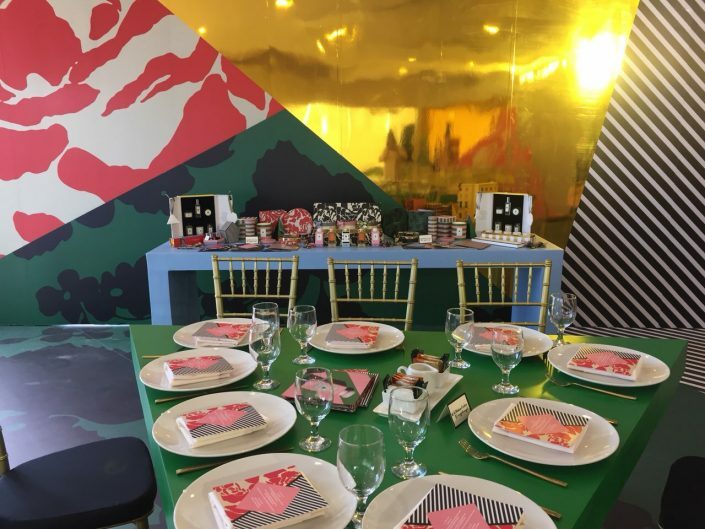 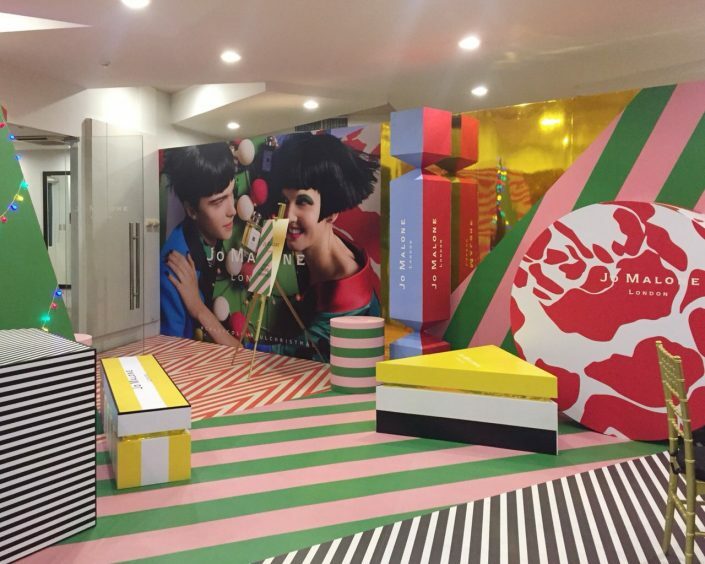 From sticker flooring of the whole venue, customized tables, 2ft to 6ft high Jo Malone props all wrapped in Jonathan Saunders prints—all bursting with color! 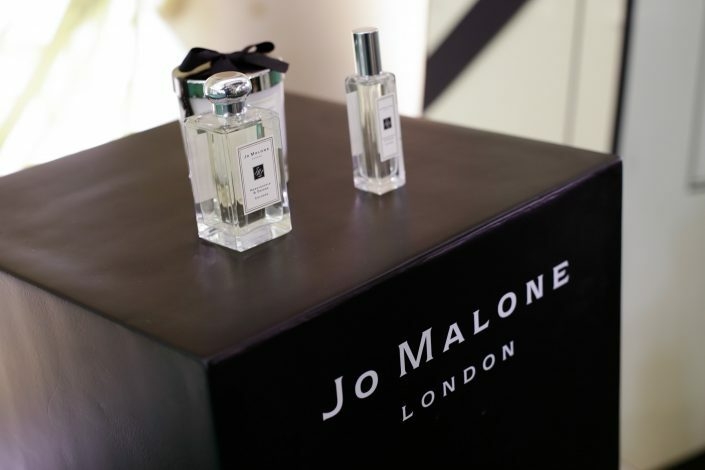 The whole area truly gives the guests the feeling of Christmas, Jo Malone London style.